Hardcover, 9.5 x 11.25 in. / 336 pgs / 280 color / 40 bw. Edited with text by Hans-Peter Wipplinger. Text by Diana Blome, Nikolaus Güdel, Elisa de Halleux, Susanne Längle. Swiss painter Ferdinand Hodler (1853–1918) was an exponent of Symbolism and Jugendstil, a pioneer of Expressionism and an innovator of monumental painting. 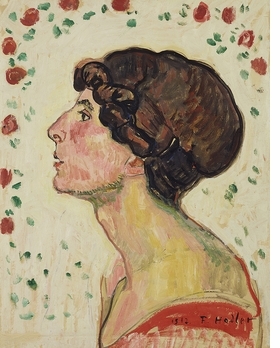 Hodler’s significance can also be charted through those he influenced in Viennese Modernist circles, such as Gustav Klimt, Koloman Moser, Oskar Kokoschka and Egon Schiele. Hodler’s landscapes, self-portraits and portraits of women (such as the haunting series following the death of his lover Valentine Godé-Darel) bristle with barely restrained energy and color, paving the way for the expressionistic, decorative experiments of the next generation of artists. 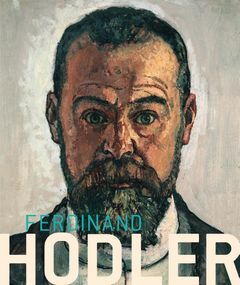 Published to accompany the artists’ most comprehensive exhibition in Austria since his resounding success at the 1904 Secession, Ferdinand Hodler: Elective Affinities from Klimt to Schiele explores the main themes of Hodler’s work and puts him in the context of his peers and followers. FORMAT: Hbk, 9.5 x 11.25 in. / 336 pgs / 280 color / 40 b&w.